Through his reign as creative director at the Italian powerhouse, Alessandro Michele’s unique aesthetic, an amalgamation of varied influences drawn from the past and present, has made maximalism and OTT dressing part of the mainstream. Furthering his philosophy of championing self- expression, a customisable version of the Dionysus bag was launched early last year, following which Gucci rolled out a new DIY service for men, in a variety of silhouettes for day and evening wear. In addition to choosing from a range of fabrics and buttons, customers can opt for funky monogram lettering. 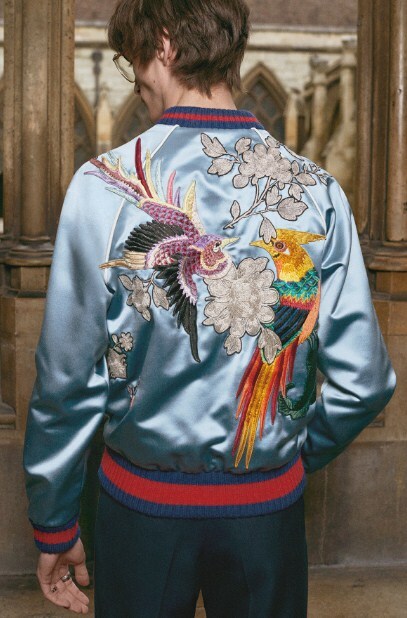 Other elements up for customisation are the linings of jackets and trouser waistbands, which can be rendered in brightly coloured silk foulards. For a more discreet option, formal silk shirts can have one of the house’s distinctive symbols snuck into the collar or cuﬀ. 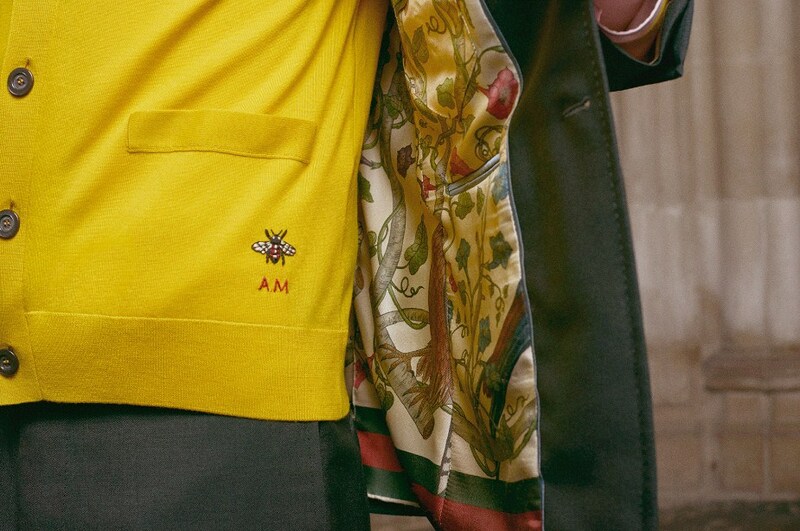 Quintessential Gucci motifs like bees, kingsnakes, flowers and birds can also be embroidered onto cashmere and merino wool knitwear. This second phase of the brand’s DIY oﬀering is a leap towards building customer loyalty. After all, which other fashion house allows millennials to create one-of-a-kind pieces to exhibit their individuality, without the fuss of couture? In a nod to punk subculture and gender-neutral silhouettes, leather biker, unisex denim and bomber jackets can be decorated with patches. This service also extends to women’s and men’s shoes, one can opt to monogram the popular Ace sneakers, and dressy mules can be embellished with applique symbols, even a tiger’s head patch. In an age where a slavish devotion to trends has become passé, the quest for one’s unique personal style is high priority. Customisable luxury clothing is simply another canvas for the same. 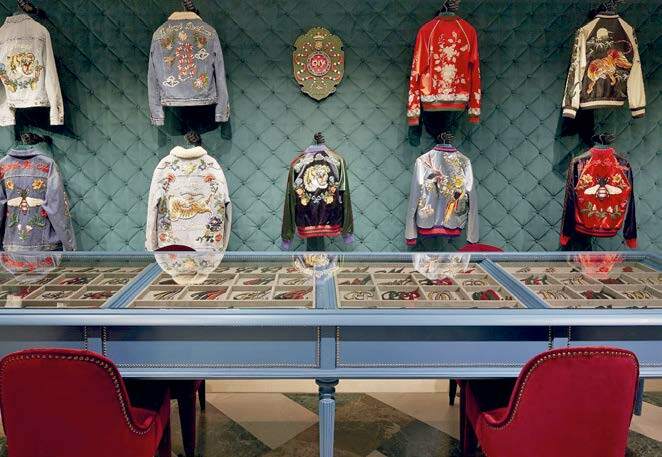 The Gucci DIY service is available at the fashion house’s flagship Via Montenapoleone store in Milan.